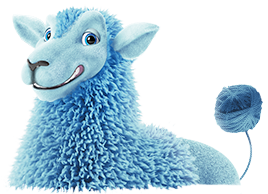 Baaaney and his flock of sheeple at Car Hire Excess are excited to help you with cover for your rental vehicle excess. We want your car hire experience to be as enjoyable as possible, and getting fleeced by your rental car company isn't much fun! Authorised Representative of Coffre-Fort Pty Ltd, ABN 66 125 358 518, AFS Licence No. 472457. Car Hire Excess policies are underwritten at Lloyd's of London- the world’s largest insurance market. So you can be rest assured that you are protected and be confident that all valid claims will be paid.